Mes premières patries ont été des livres | One quality, the finest. 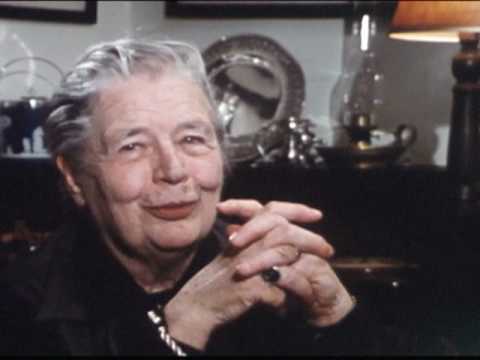 Franco-Belgian writer Marguerite Yourcenar was born on June 8, 1903. Her real name was Marguerite Antoinette Jeanne Marie Ghislane de Crayencour. She invented Yourcenar as a pen-name an anagram from her family name. Her mother died mere days after Marguerite’s birth. She was raised by her paternal grandparents but spent a lot of time traveling in style with her feckless, gambling father. Her life experiences gave her plenty of material to write about. She started writing as a teen and the money she inherited from her father gave her the financial wherewithal to continue. With the outbreak of World War II, she moved to the United States where she became a lecturer in comparative literature at Sarah Lawrence College in New York. In the post-war years, she shuttled between the States and France. Her most important work was Mémoires d’Hadrian, published in 1951. It’s a complex historical novel of the Roman Emperor through a letter to Marcus Aurelius, as he reflects back on his life on the evening before his death. One of the famous lines from that book is “mes premières patries ont été des livres” (may prem-ee-air patree zont aytay day leevruh), which means “my first homelands have been books.” Yourcenar was the first female ever to be elected to the Académie Française in 1980. She wrote almost 30 works that dealt with the conflicting demands of society and individual desires. In 1983, she won the Erasmus prize for her contributions to European literature. She died in her home in Maine on December 17, 1987. This entry was posted in Literature and tagged Académie Française, Erasmus prize, Marguerite Antoinette Jeanne Marie Ghislane de Crayencour, Marguerite Yourcenar, Mémoires d’Hadrian, mes premières patries ont été des livres. Bookmark the permalink. According to the research I did, her Belgian mother, Fernande de Cartier de Marchienne, was of Belgian nobility, while her father’s family was very wealthy, but middle-class.